01/2019: LIFE workshop 1 successfully took place at DLR in Berlin/Adlershof. It was a great and very productive meeting that led to the establishment of a clear project structure and a first set of milestones and action items. More to come soon... Thanks to all participants! 12/2018: A paper entitled "Space-based infrared interferometry to study exoplanet atmospheres" has just been published by Experimental Astronomy (click here for the final version). 11/2018: A paper discussing the potential to directly detect young rocky planets undergoing a post-impact magma ocean phase was accepted for publication in Astronomy & Astrophysics (the preprint is here). LIFE was considered as one of the instruments. The next LIFE workshop will take place January 23/24, 2019, at DLR in Berlin/Adlershof. A program will be announced in due time, but the number of participants is limited. If you are interested in participating, please contact us. The National Academy of Sciences published their "Exoplanet Science Strategy" report. While the report puts a strong emphasis on future missions detecting planets in reflected light in a first step, mid-infrared interferometry is considered key in the long-run. One of the finding states: "Technology development support in the next decade for future characterization concepts such as mid-infrared (MIR) interferometers [...] will be needed to enable strategic exoplanet missions beyond 2040." Even more important is the following statement: "That said, the common (although often unspoken) belief is that such a nulling, near-infrared (NIR) interferometer would be a necessary follow-up to any reflected light direct imaging mission, as detecting the exoplanet in thermal emission is not only required to measure the temperature of the planet, but is also needed to measure its radius, and so (with an astrometric or radial velocity detection of [...] the mass of the planet) measure its density and thus determine if it is truly terrestrial." In other words, without a mission like LIFE, confirming the true terrestrial nature of a large sample of exoplanets will be impossible! 08/2018: LIFE related papers from the SPIE conference are now available online. Please check out Quanz et al. (2018) and Defrere et al. (2018b). 07/2018: LIFE was presented on a poster at the "Exoplanets 2" conference July 2-6, 2018, in Cambridge. 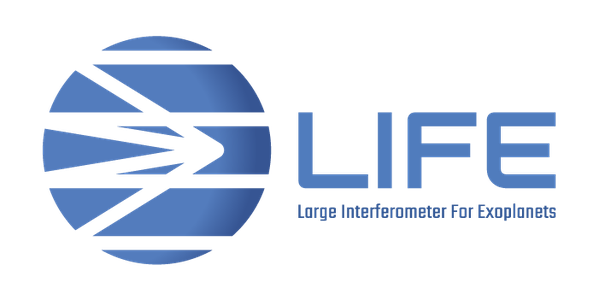 LIFE and related mission ideas were presented at the SPIE conference "Astronomical Telescopes + Instrumentation" in Austin/Texas, June 10-15, 2018. This was the first time the acronym was officially introduced! LIFE generated a lot of excitement and a number of scientists and engineers expressed a strong interest in such a mission concept. Unfortunately the ISSI proposal was not selected for funding, but LIFE was strongly encouraged to re-submit in early 2019. 03/2018: A proposal to install an ISSI International Team further developing the science of LIFE and assessing the status of key technologies was submitted. 01/2018: A new review paper by Defrere et al. about space-based interferometry for exoplanet science was submitted to Experimental Astronomy. The submitted version can be found here. 09/2017: The science of LIFE was presented in a presentation at the European Planetary Science Congress held on September 17-22 in Riga, Latvia.